In looking back over the year, I feel immensely privileged to have had so many meaningful and positive experiences in sharing with the youth what I have come to call the ceremony of nature. This may sound a bit exaggerated but living in the realm of such beauty and reality of the natural world, it’s just how I feel. As we pass the winter solstice, and the angle of the earth’s rotation begins to swing our northern half into ever so slightly longer days, I am so grateful to have the opportunity to work on this project with such a diverse group of people involved with Sacred Rok. Life continues to unfold in ways that inspire me to deeply reflect on my relationship with Yosemite, coming as a youth and always looking for the next challenge – from the next boulder problem to the next wall and adventures beyond in the Himalayas. It feels like Sacred Rok for me has become a climb of a lifetime, putting together everything from my adult life to build on and expand into the reality of being human and continuing to stay connected to the lessons of nature. So I sit here, in my cabin in El Portal listening to the rain, pausing and contemplating the possibilities that nature brings to youth, and imagining how to build healthy communities. having as much time to spend with Sacred Rok as he would like, joining me occasionally in the ceremonies of nature with the kids, helping me with the newsletter stories and constructing our narrative. We are so different in the paths we have taken to Sacred Rok, but share the view and uniqueness of what we are trying to accomplish. As an education professor at Stanford working to understand and fix problems of educating our youth, Kenji has reached a point in his career where this maturity, so to speak, is making him much sought after, to do more with his knowledge and experience to help school districts and government policies. Yet he thinks that sitting in a small community center in Planada, talking and reflecting on our experiences in nature with Oswaldo (one of the Sacred Rok kids), as we did last Monday holds great meaning, even richer and deeper than changing government policies. He’s learning new things, and feels the need to do more, to more deeply understand how we learn. He even mentioned the Planada kids at one of his public lectures recently at the Ronald Reagan Center in Washington, using this experience to point out how we need to broaden our concept of what it means to be educated. Kenji and I also had the chance to visit later that week at the annual Christmas gathering of friends of the Yosemite Conservancy at the Log Cabin in the Presidio in San Francisco. That was an event filled with the luminaries of the philanthropic world, a veritable “Who’s Who” of active supporters of Yosemite. As we mingled and enjoyed the good food and drinks, we were struck by the contrast in the worlds, having just been in Planada a couple of days earlier. I had gone that day to Planada from my climbing dojo in Yosemite – another big contrast – and now here we were in the elite world of San Francisco philanthropy. What does this all mean? To help us share this vision with you, our friend Francisco Mendoza from the Planada group produced a short video - in watching it, we hope that you feel as inspired as we do. It continues to be an honor to share these thoughts and experiences with you. Here is an update and summary from our Chair of the Board, Nancy Goodban. As 2010 comes to a close, I wanted to thank you for your support of Sacred Rok. 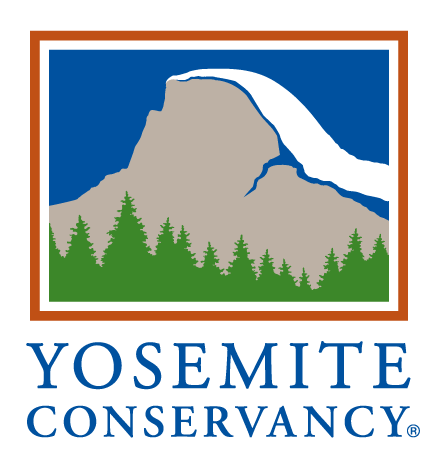 We have been in operation as a non-profit now for a year and a half, and in this short time we have connected with youth from the Merced area through a variety of partnerships, allowing what Ron calls “the ceremony of nature” to take place in Yosemite. These are kids who otherwise might not have access to the healing powers of nature, and so we are very proud of our accomplishments. In 2010, Ron led ten trips -- 3 day trips for Probation youth, 3 day trips for Planada kids, 2 camping trips for Probation youth, and 2 camping trips for foster youth. The best moments have come in listening to the water, taking in expansive views of the high Sierras, or encountering a Mountain King snake. In the presence of natural beauty, we appreciate the power of slowing down and having the time to recognize the senses, clearing them out in order to gain balance. At the same time, we built our infrastructure through our website and this newsletter. We completed the administrative basics: our tax exempt status, financial reports and insurance. The Merced County Human Services Agency provided customized training to our volunteers and staff regarding the emotional and behavioral impacts of child abuse, mandatory child abuse reporting, sexual harassment prevention, domestic violence, and bullying. We adopted anti-abuse, harassment, and bullying policies for adults and youth participants, as well as other basic policies including background checks and confidentiality. We reached out to the outdoor industry and were grateful to receive cash or equipment donations from the Clif Bar Family Foundation, Patagonia, The California Endowment, Kleen Kanteen, Camelback, Kelty, Sierra Designs, North Face, REI, and Slumberjack. Ron gave educational presentations including at the Stanford University Alpine Club and to REI staff at Yosemite National Park as well as to several REI venues in the San Francisco Bay Area. And of course, many of you have contributed generously, for which we are extremely grateful. We have developed a curriculum which outlines our philosophy, approach, and activities including learning outcomes and objectives as well as a logic model. The Board has also identified the value of having an identified site for camping and other activities. We are working with youth who are at or near maturity, and want to provide a safe haven for them to return to at any time. Our vision is a small facility on several acres in or near Yosemite, where young people can come at any time once they have graduated from foster care or Probation. We are not sure how to make this happen, but are exploring various options – and your good ideas would be much appreciated. Finally, please help us by considering the purchase of our first product line – Ron’s Midnight Lightning T-shirt, which we will provide for a donation of $50 or more. We produced it in collaboration with good friend and designer Jeremy Collins, and it is made from organic cotton. It would make a nice gift for a climber friend of yours, and help support a good cause. Thanks, and may 2011 bring peace to the world and happiness to you and your loved ones. A year and a half ago, when Sacred Rok was gearing up for it's first camping trip with the youth from HSA Merced they were in need of a cook and someone to manage the camp. Through a series of conversations and shared ideas it was decided that I would take reigns has Camp Chef/Camp Manager. We wanted to bring the kids to our table; to share our meals with them and our appreciation for the communion food allows for us to have. Part of the idea was to use as much locally grown, organic goods we could find and to share with the youth some understanding about where the food we were eating came from and why it is not only beneficial to our bodies to eat good food but also to the environment. Sacred Rok is a creative collaboration of a diverse group of people and I wanted to continue the theme of diversity into the food. We have a great advantage living in Yosemite in that the Central Valley rests only 60 miles away, allowing access to an array of locally grown and harvested goods. The youth we interact with all reside in the Central Valley and I found this to be a wonderful opportunity for them to see what amazing bounty grows there amongst them. While much of the farming in the Valley is large-scale, mono-cultured growing there are quite a bit of small, family operated farms offering a nice assortment of organic fruits, vegetables, legumes and honey. These were and will continue to be some of Sacred Rok's best choices for delicious, nutritious fare. Wild onion and Watercress grow natively in Yosemite and the High Sierra and these were used quite often in my cooking. There were a few times while out on their walks that the kids would harvest these things for us, with the amazement that we could eat what the nature was growing right there. It was while sharing food with these kids that I started to connect with them on a very basic human level. As we cooked, ate, and cleaned up with each other we shared stories and laughed. Soon they would ask about what we were eating; we talked about where the food came from, what was in it, how I made it and most importantly what was for dessert. Through these shared meals we started to form a trust with one-another, we started to form a community. In working with the youth through Sacred Rok I aim to continue to connect with them by providing healthy meals in which they take part of by helping with the preparation and by engaging with them in conversation about where our food comes from. In these conversations I hope to shed light on the value of food and the value of taking care of our Earth so that it can continue to provide for us. In this sharing I hope to inspire creativity for Sacred Rok and in these youth, deepening our connection with one-another. Sacred Rok is grateful for the support of the California Endowment, through the Building Healthy Communities Collaborative in Merced, for funding to support the Planada trips.